Radio Free Charleston debuts at 10 AM with a replay at 10 PM and brings you new music this week from Jonathan Mason, Jeff Ellis, and Qiet. Jonathan Mason’s new CD is available today! Check out the playlist below for links to the artists who have music for sale. At 3 PM, DJ Betty Rock treats us to 120 minutes of particularly nifty music originating from the WMUL studios with Radio Coolsville. 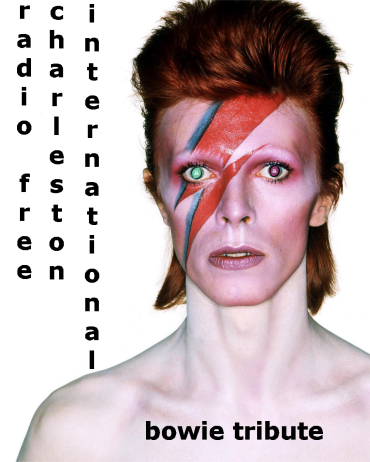 After the 10 PM replay of Radio Free Charleston, 11 PM sees Radio Free Charleston International presenting a two hour tribute to David Bowie, with music from The Thin White Duke himself, plus Frankie Goes To Hollywood, Queen, Adrian Belew, Reeves Gabriel, Duran Duran, Rick Wakeman, and more. Check PopCult regularly for more updates on the cool new programming that you can hear every day at The AIR!